Turns out, being proposed to by Joe Jonas isn't that spectacular. 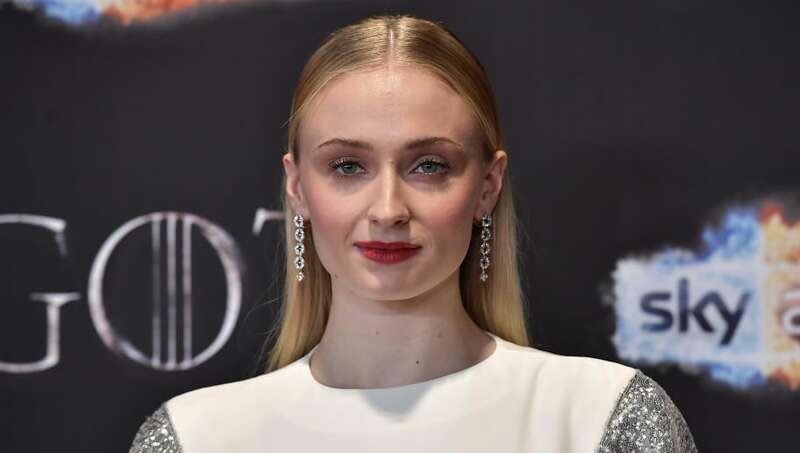 As great as it must've been the night Joe popped the question, his fiancé Sophie Turner has found a new best day of her life, and it involves farm animals. The Game of Thrones star found herself in an unfamiliar position recently when she tried out goat yoga for British Vogue. And though she says she's not too fond of the exercising practice, the presence of adorable goats changed the mood entirely. From allowing the baby goats to eat off of her forehead to not even being upset at one for peeing on her yoga mat, Turner's sheer joy of being around the furry friends was evident. The experience was so great, she's ready to proclaim it as the best day of her life. “I’ve never felt that excited about anything in my life. Ever. And I’ve been proposed to and that wasn’t even the best day of my life — this was," Sophie said, probably only halfway joking. Happy Valentine’s Day my love. You make me the happiest. In all seriousness, Turner and Jonas are madly in love and it's absolutely adorable. “He’s lovely. He’s just the funniest," Turner told Harper’s Bazaar UK about Joe. “He’s the most fun, energetic, positive person I’ve ever seen." The couple's wedding is scheduled to take place this July in France. And there's a solid chance that date will replace goat yoga as Sophie's best day ever.